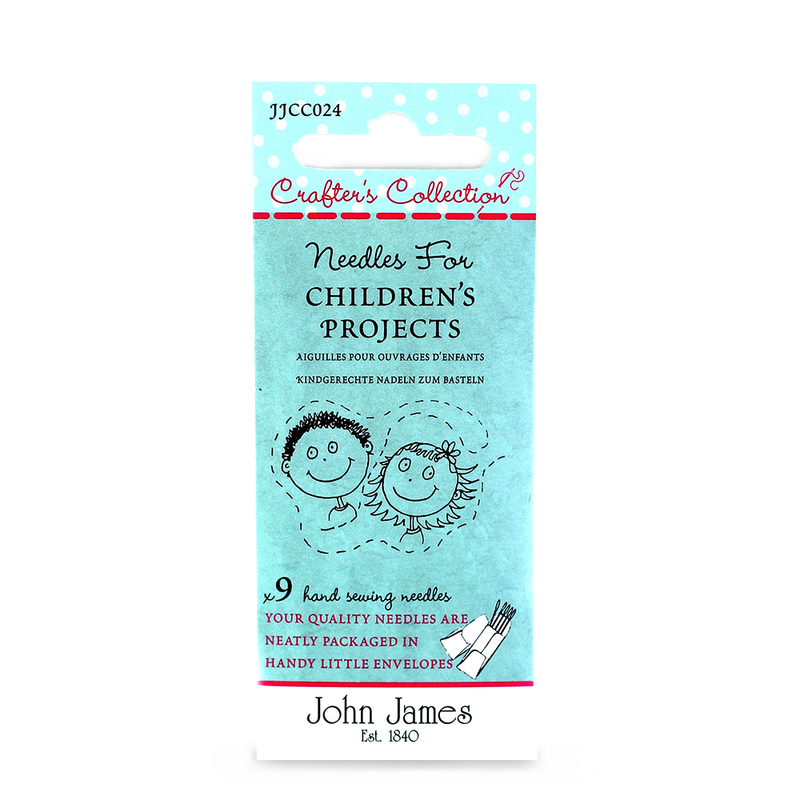 Crafters Collection: Needles for Children's Projects Asst. You are never too young to learn to sew. This fabulous needle combination covers all aspects of learning to sew regardless of age. The plastic needle is designed to be used at the initial stages of learning to sew and to be used with Binca and plastic canvas. The next stage of development is the tapestry needle which is a chunky nickel plated needle with a large eye and round blunt point. Finally the primary needle designed for general sewing with sewing threads, it is a nickel plated sewing needle, thicker and smaller in length than a sharps needle and especially designed for tiny fingers. It has a large eye making it easy to thread and is designed to be used in the early stages of general sewing using medium fabrics.